Church's Chicken is offering free meals to community heroes in El Paso, TX. EL PASO, Texas - Oct. 17, 2017 - PRLog -- Church's Chicken®, one of the largest quick-service restaurant chicken chains in the world, wants to show its appreciation for all community heroes in El Paso, TX for their service by offering a FREE two-piece leg & thigh and biscuit meal. This offer is currently available to all first responders, including firefighters, police, emergency medical responders, border patrol and military personnel who are in uniform or present a valid work ID at participating Church's restaurants. "This community is full of heroes Working Together to provide a better neighborhood for all, and our restaurants just wanted to honor them for all they do." said Jeanie Hornia, Field Marketing Manager in the West U.S. for Church's Chicken. Every day, while supplies last, all law enforcement, military and rescue workers are welcome to stop by participating restaurants in El Paso for a FREE freshly prepared, two-piece leg & thigh and a scratch-made honey-butter biscuit. The offer is available for orders placed through drive-thru, dine-in and take-out. Guests must be sure to mention the special offer at the time of purchase in order to receive the discount. 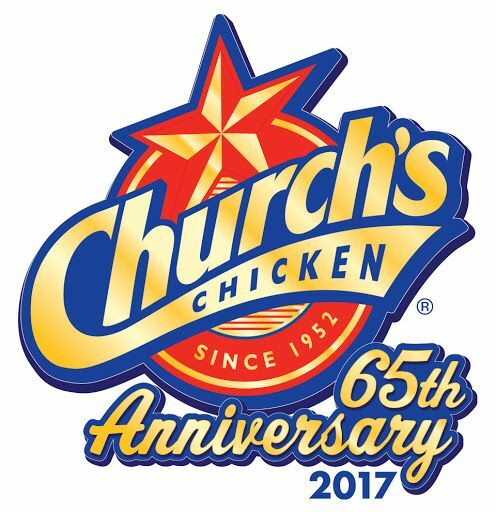 Founded in San Antonio, TX in 1952 by George W. Church, Church's Chicken® is one of the largest quick service restaurant chicken chains in the world. Church's® specializes in Original and Spicy Chicken freshly prepared throughout the day in small batches that are hand-battered and double-breaded, Tender Strips®, honey-butter biscuits made from scratch and freshly baked, and classic, home-style sides all for a great value. Church's® (along with its sister brand Texas Chicken® outside the Americas) has more than 1,650 locations in 27 countries and international territories and system-wide sales of more than $1 billion. For more information, visit www.churchs.com. Follow Church's® on Facebook at www.facebook.com/churchschicken and Twitter at www.twitter.com/churchschicken.